Well, well, Russia has now begun their long-awaited offensive against ISIS/Daesh/Al-Nusra/Al-Qaeda/Free Syrian Army, over the past week, a great deal has been seen(and learned) about what it means, and how it will change the dynamic going forward. Make no mistake, the Russian involvement in Syria is, without a doubt, an enormous game-changer here. To my mind, it could be the most vitally important event in all of 2015, for several reasons which I’ll detail in a moment, but first, before we lay those out, we must first remind ourselves what the bankster, globalists’ real involvement in Syria was all about in the first place. This map lays it all out, very clearly. Once again, for anyone who thought that DC and its cohorts wished to play the international ‘activist’, simply because they sympathized with an ‘oppressed population’, nothing could be further from the truth. It was all about energy, specifically, natural gas, and its transit through the Middle East, and who would control that transit. As you can see above, there have been a series of competing gas pipeline plans throughout the Middle East, each one representing a different gameplan by a different series of interested parties. Yet after the total humiliation of John Kerry and President Obama, at the hands of Putin in the summer of 2013(when their chemical false flag fell flat on its face), the efforts to oust President Assad hit a brickwall. After 2 years(and billions of dollars) had been spent trying to make their dream of a pipeline through the region a reality, Turkey, DC, Tel-Aviv, the House of Saud, and Qatar began a much more urgent strategy: one involving more dangerous, more unpredictable proxies than the “Free Syrian Army” could possibly ever be…and that’s where ISIS came in. Have any of you out there ever wondered as to why the US bombing of ISIS in Syria, for the last 13 months, has done little to actually stop or roll back that organization? It’s a serious, problematic question. “Watchman, it’s because ISIS is just too crafty, cunning, and powerful for any state to take down,” congratulations, you’ve officially just lost your privilege to speak. Folks, ISIS is a 2nd-rate, rag-tag bunch of bandits, with zero navy, virtually zero air force, and zero anti-aircraft technology. Any Western military force that truly wanted to stop them, could most easily do so. So, how could this force literally pop outta nowhere(with hundreds of convoys of shiny, new toyota trucks)….in the desert….and waltz through every ancient city from Palmyra, to Ramadi in just a few months’ time? I mean, let’s face it: DC’s astounding failure to stop ISIS is now the stuff of legend. Think about it, it seems the more “they do” to stop them….the more powerful ISIS grows! Just like magic! So, why has DC(with the world’s most technologically advanced weapons of war) failed to stop it? Both of those things were prized assets that DC never wanted to stop in the first place. That’s a fact. For those who doubt this, in a recently revealed document, last May, the Pentagon admitted in a declassified document, that the US government was, at the very least, indirectly responsible for the rise of ISIS. From the very get-go, it has been clearly stated that DC views ISIS as a wonderful, strategic asset in the region, because ISIS represents the last, best hopes of ousting Syrian President Assad. That’s the truth. So every time you read headlines about another cultural treasure of Palmyra being destroyed by ISIS, or of vast numbers of Christians, Syrian soldiers, Yazidis, Zoroastrians….or basically just anyone with a head on their shoulders, losing those heads to men with knives…. That all changed, in the last month, when Assad’s planes, armed with Russian weapons, began to pummel ISIS in their ‘safest’, ‘strongest’ fortress cities. From the get-go, when I heard Russia was sending planes to an airbase in Syria, I wondered how long it would to take to see real results, and boy, Putin did not disappoint! Within 48 hours of the word hitting the wire of Russian planes and technology in Syria, President Assad sent planes(armed with upgraded, Russian pinpoint bombing systems) straight to Raqqa, the de-facto capital of ISIS in Syria, itself! With minutes, 8 targets were instantly pulverized, with a deadly precision that ISIS had never been recipients of before. It was obvious why he’d chosen Raqqa as his first strike. Assad’s regime had been on the ropes in the previous weeks. His army had been hit with declining manpower, and ISIS and Al-Nusra had even been making some inroads into outer parts of Damascus. The proxy-terrorist armies in Syria had thought that victory was all but assured. Thusly, Assad’s strike on Raqqa was a psychological blow: it assured his enemies that not only was he still there, but that he was now able to bring the fight to them at any place in his country, at any time he chose, and with new, state-of-the-art technology. Then, he sent out fighters(the same day) to bomb the ISIS thugs who’d spent the last 6 months blowing up priceless, irreplaceable ancient monuments in Palmyra. Again, the blow was psychological: demonstrating how crimes against that ancient country’s cultural treasures were not going unpunished, and that their forces were in Assad’s crosshairs too. The bombings at Palmyra were so devastating to ISIS, that within hours..the hospitals and ambulances were overflowing with more than 130 bodies of the dead and wounded that came streaming in. After Assad had put his enemies on notice: Russia took center stage. Having been asked by the elected government there, to help give support against all the proxy armies of other meddlesome nations, Russia began its own, personal war against ISIS, and the results were…. Russia left no weapon(save nuclear) off the table, and has absolutely smashed ISIS’s capabilities…in just days. The Russian Federation has achieved several very critical things here in such a short space of time. 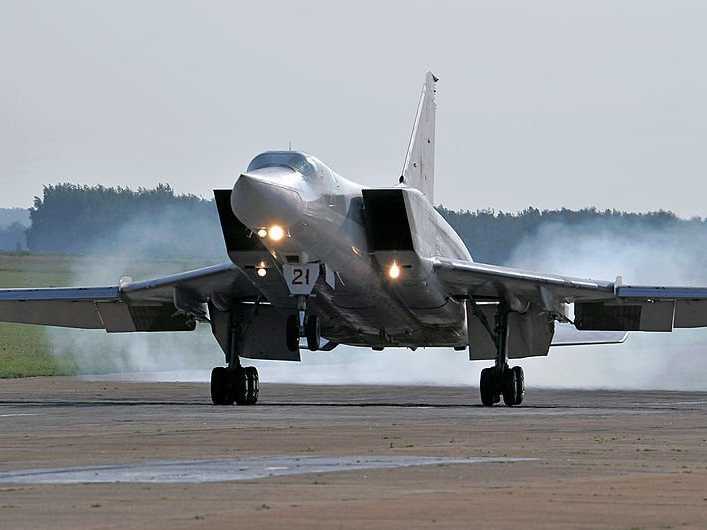 Within just one week, Russia carried out 120 air strikes on military targets. 120 of them! Care to take a guess as to how many airstrikes DC made in that same week in Syria? 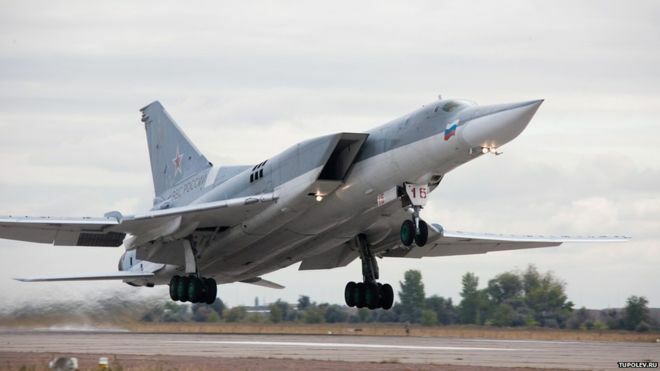 If you think that’s impressive though, you’ll be pleased to know that Russia made good on their promise to increase both the ferocity and frequency of their bombings, as over the weekend….they launched 60 more sorties….in just 24 hours. In the first week, it is estimated that up to 40% of ISIS logistical infrastructure and capabilities have been utterly destroyed. ISIS took every single soldier out, and beheaded them. In just two strikes on two bases and munition posts…ISIS lost over 300 fighters. Russia has achieved vastly more on the ground situation in 1 week, than DC achieved in well over a year. The panic is now spreading up the chain of command in ISIS and ISIL. Thousands of their fighters have already defected, thousands more have fled across the Iraqi and Turkish borders, while others are trying to blend in with local Syrian refugee camps! The CIA-inspired ‘uprising’ in Homs, 4 years ago, has now come full circle, and it’s obvious to everyone paying attention, that the grand plan of the Saudis, Qataris, the Turks, and DC has been splattered all over the wall. The real reason that(arguably) the world’s most advanced military could not dent ISIS, despite all their bluster and threats, is that US & UK leadership never wanted to defeat ISIS/ISIL in the first place. Russia, however, does want to defeat ISIS, and not just for the sake of their ally Assad, but because(unlike DC & Israel) Russia does not want utter chaos to reign supreme across the Middle East. He knows that if the Assad regime falls, the last best hope of civilization and safety in that region falls with it. He knows that if ISIS is left unchecked, that most of the Middle East will become another huge Libya: a playground and gun-running route for every wicked organization that DC can throw money at. He knows that many of ISIS’s soldiers are foreign, Chechen mercenaries, and that ISIS’s spread would cause untold border security spillover and terror issues for Russia-proper. He knows that if Israel and the US finish off the nationalist Syrian regime, then their runway to war with Iran(to make the world safe for globalism) is fully cleared. But most importantly, he knows that ISIS is a US/UK bankster creation, and that he has a rare chance now to strike with fury, and even force DC to destroy its own pet terror group in the cradle of its infancy, before it can fully incubate into the type of threat DC had intended. DC is beside itself, and Obama is visibly disturbed by it, and all the things it means. Washington is being forced to watch(and take part in) the destruction of their prized creation, “les enfant terribles” of ISIS. It’s magnificent to watch all those powerful schemes of evil men literally go up in smoke, isn’t it? Terror just isn’t any fun…. When you’re on the receiving end!